Here’s an example of how a media campaign can build on itself. 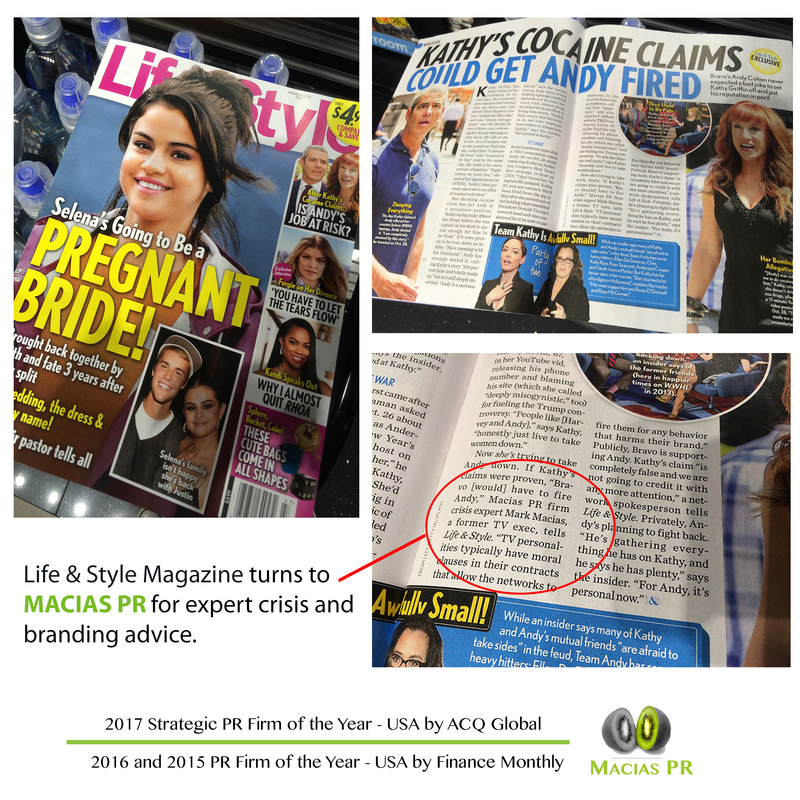 MACIAS PR recently secured a high profile story in the New York Post that positioned our financial client as a consumer watchdog. 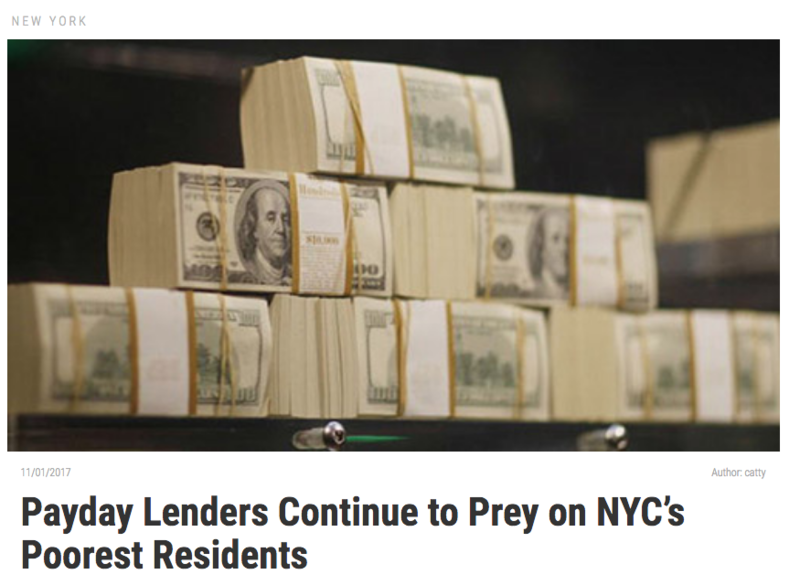 The article explained how Payday Lenders are preying on New York City’s poorest residents. PR is more than just driving new business. It can also be used to promote your name in the community and it doesn’t matter if you’re a small nonprofit, or a large corporation. Our nonprofit client recently received a $30,000 donation from AT&T. If you’re a corporation giving money to the community, ideally, you want others to know about it. And that was part of our job. Here’s how MACIAS PR helped spread the word with the media. Our digital health client was featured on the PIX 11 Morning Show in New York City last week. We positioned our client as an expert in the wellness space, and positioned their user as the main character for the story. During my time in TV news, I was a consumer producer for 3 On Your Side in Phoenix, Arizona. These types of consumer advocacy segments are great publicity opportunities for your product or service. It’s difficult to stand out in today’s cluttered social media world. Facebook alone receives more than 4 million likes every 60-seconds. Consumers upload 300-plus hours of video every minute to YouTube. And Instagram will collect more than 2 million red hearts before you even finish reading this story. With this constant stream of content, you need creative content that stands out. MACIAS PR recently released a video that transported viewers back to the 1920s. We posed the question, “What happens when an actress reveals she wants fame in the 1920s?” and it seemed to spark people’s curiosity. In just over a week, the video has generated close to 2,000 views on YouTube, and reached more than 1600 people on Facebook. Another 500 consumers actively went out of their way to click on the video and watch it on Facebook. This 1920s video was successful because it utilized several approaches that drive social media. Here are some of the tactics we used to generate traffic towards our post. Is it smart to pitch reporters on social media? Let’s have a little fun with our imagination. If you had to hire Batman or Robin to run your PR campaign, who would you choose? Most people might say, Batman. He’s bigger and physically stronger. Batman’s reputation goes back to the 1940s – well before Robin was even born. And of course, Batman has that cool Bat Cave with all those luxuries that give him direct access to Gotham’s leaders. Of course in business, you pay for all of those gadgets. If you wanted to hire Batman, your retainer fee will partially go to fund that Bat Cave, even if you never visit it. Poor Robin. He tries so hard to fight the bad guys and win your trust. He’s physically smaller than Batman, so he knows he must work harder. Deep inside, if he is going to win any battle, he know he will need to out-think – not out-muscle Batman. A public relations business needs media coverage too; we’re just like you. The hardest part with every campaign is getting that first placement, but once the coverage begins, there tends to be a snowball effect. This happened with recently with the scandal involving Harvey Weinstein. USA Today reached out to MACIAS PR first, asking Mark for advice on how Weinstein should handle his brand and image. Once the story was published in an influential publication, the coverage snowballed. That same week, the Washington Post, and one of Australia’s largest papers – The Sydney Morning Herald – also called Mark, asking for crisis and branding insight with the growing Hollywood scandal. Nonprofit PR will raise the profile of your organization when it is executed correctly. Our nonprofit client held an event in New Jersey yesterday that introduced their services to veterans. It was all part of Veterans Day and our goal to honor our veterans. An Assemblywoman and the Mayor of Jersey City both showed up at the event. The 30-second VO introduced our nonprofit client to the community. If you watch the video, you’ll hear an overview directly from the anchor’s mouth on what this organization does. It was essentially a commercial in the newscast. The 2018 budget is approved. RFPs are issued. Now it’s time to find the best PR firms to raise the profile of your businesss. During my time as Executive Producer with NBC in New York, publicists pitched me constantly, trying to get their clients on the news. Some would try calling me at odd hours, while others would email story ideas. The higher level publicists would invite me out for drinks or social events. Now, as the owner of a NYC public relations firm, I see the other side, and it’s not pretty. Most business owners and marketing executives frequently ask me the same questions as they try to search for the best PR firms. In my experience, they are asking the wrong questions. Here are some of the questions I would want my publicist to ask if I was trying to hire a top PR firm.